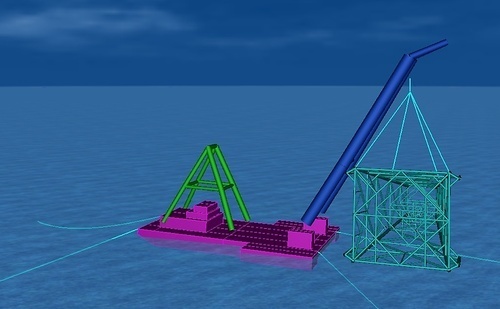 Computer Aided Engineering (CAE) is one of the most powerful virtual product design development and verification simulation tool available for predicting the behavior of complete systems, sub-systems, components or assemblies during expected or extreme use, in a virtual environment. Designit4u can develop CAE models for all types of analysis. The results from the static analysis and eigenvalue analysis together give the resultant buckling shapes of the structure. Buckling failure in structures occurs due to the geometric shape of the structure. Typically, this failure occurs at a stress value lower than that predicted using static analysis. Buckling analysis is used to predict failure in long, slender structures. It is common to analyze buckling behavior in large steel structures that are commonly used in marine & offshore, mining and construction industries. 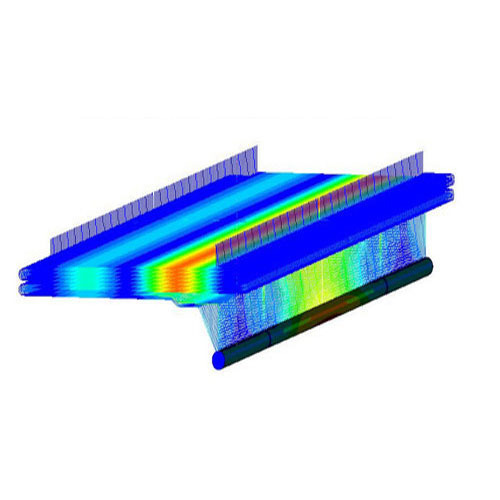 We are offering Thermal Stress Analysis In many thermal problems, the heat can have a direct impact on mechanical structures by creating distortion, which then causes additional stress. In each of these cases, it’s critical for you to understand how the temperature changes can influence the performance of your product. 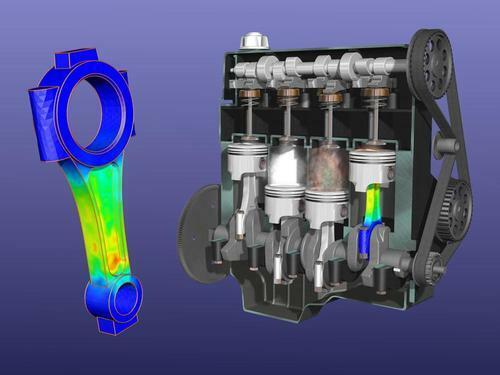 Thanks to modern and user-friendly CAE environment, you are able to perform both thermal and structural analyses simultaneously, saving you time and generating accurate results. We are offering Fluid Structure Interaction.The flow of fluids through pipe connections, flow meters, valves, distributors — and over airplane wings, turbine blades and other structures — can generate unsteady forces on the surrounding parts that cause them to move. Sometimes this movement is intentional and necessary, and sometimes it is unintentional but unavoidable. In either case, it is important to understand the impact of fluid forces on the surrounding equipment and its performance. We can help you to understand and solve product design challenges related to this fluid–structure interaction (FSI). Flow-induced vibration can cause catastrophic failure of a structure if its natural frequencies "lock in" with the shedding frequencies of the flow. Short of catastrophic failure, flow-induced vibration can reduce equipment performance and lead to failure through fatigue. Engineers must understand the sources of this vibration, along with related amplitudes and frequencies, to produce designs that can withstand them. 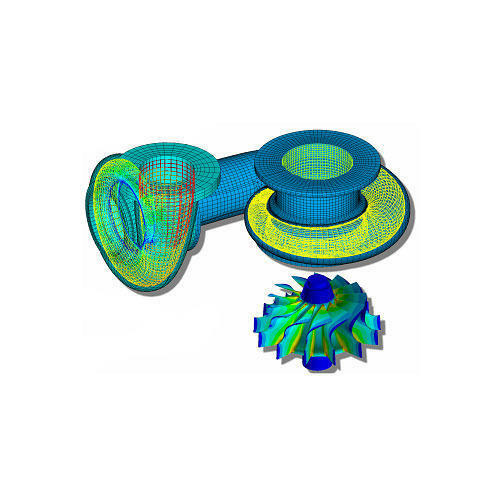 We can help by simulating the flow-induced vibration of objects ranging from small sensors in cross-flow in a pipe to large turbine blades. 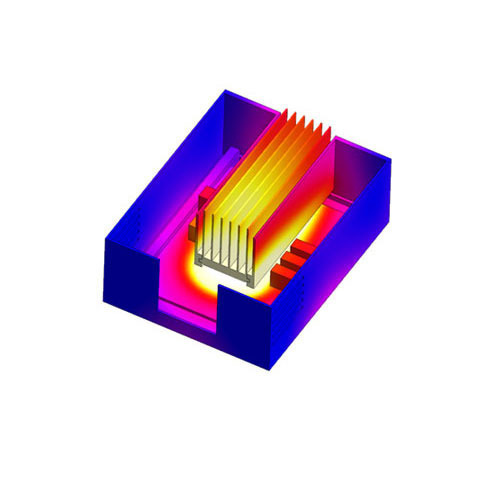 In many cases, engineers need to use fluid analysis and structural analysis together — calculate the thermal stress of an electronic board; examine the stress on a plane’s wing investigate the influence of wind or fire on architectures. With the help of our adroit professionals, we are engaged in providing excellent quality Heat Transfer Analysis. Owing to their execution within promised time frame and cost effectiveness, these analysis services are highly demanded and appreciated among our customers. In addition to this, these are rendered at cost effective prices. To maintain the market share and keep it up with competition require enhanced product performance, faster deliveries and lower prices. You can opt for advanced Computer Aided Design (CAD) and Computer Aided Engineering (CAE) tools to enhance product design and team productivity thus achieving your business goals. 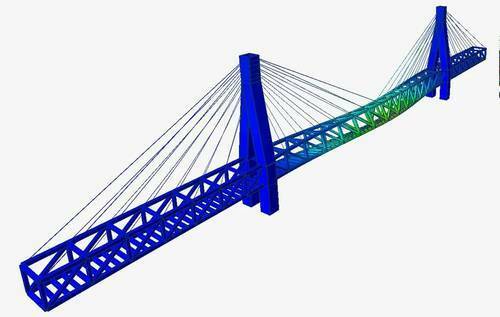 It is possible to incorporate Finite Element Analysis or FEA Analysis and 3D CAD tools into the design and manufacturing process. 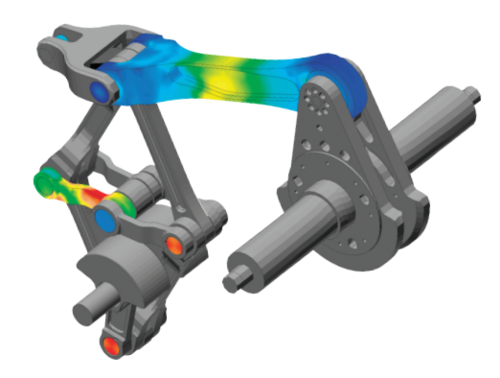 FEA is one common set of CAE analytical tool that offer the engineer insight into the vibrations, stresses, deformations, modal frequencies and mode shapes of the given structure. 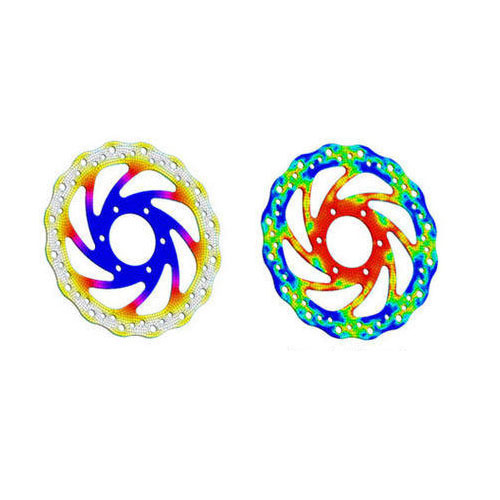 In addition, FEA can be used for other types of analysis such as CFD analysis, Fluid mechanism, Thermal analysis, Heat transfer and electrostatic potential. Using robotics can greatly improve your machine's efficiency and performance. However, integrating robotics into your machine can be complicated and time-consuming, often requiring a mix of disparate hardware and software components from different vendors. Kinematics provides a single, integrated solution for multiple disciplines, eliminating additional robot and safety controllers, software, and special custom function blocks typically needed when incorporating a robot into an application. This significantly reduces the time and costs for both design and programming. 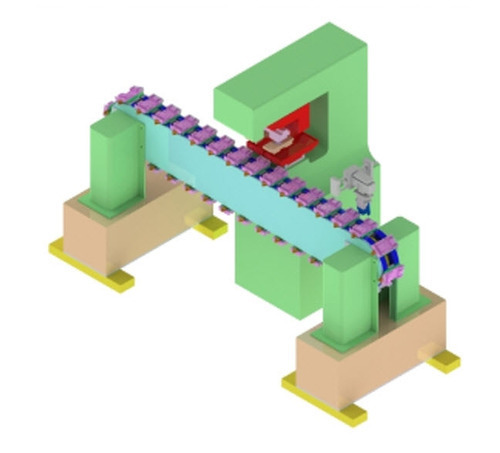 With Motion Simulation Mechanism Dynamics, you can virtually simulate reactions to accelerations and the weight of moving components. And, you can adjust product performance by incorporating dynamic influences such as springs, motors, friction, gravity. Maximize design confidence without the expensive burden of building prototypes. 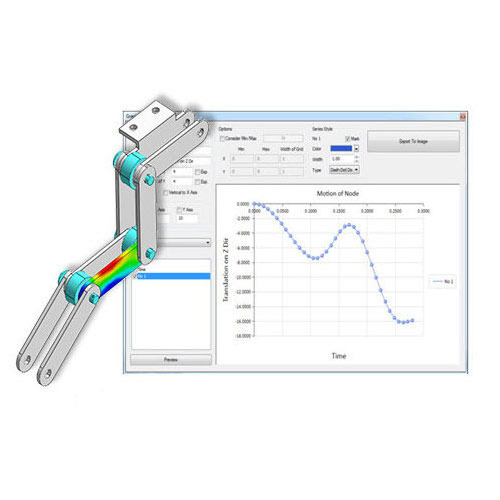 We are offering Multi-Body Analysis This type of analysis enables you to simulate systems that consist of flexible and rigid bodies. Parts are connected to each other by joints that restrict their relative motion. The study of Multi-Body Systems allows you to perform both forward and inverse dynamic problems.